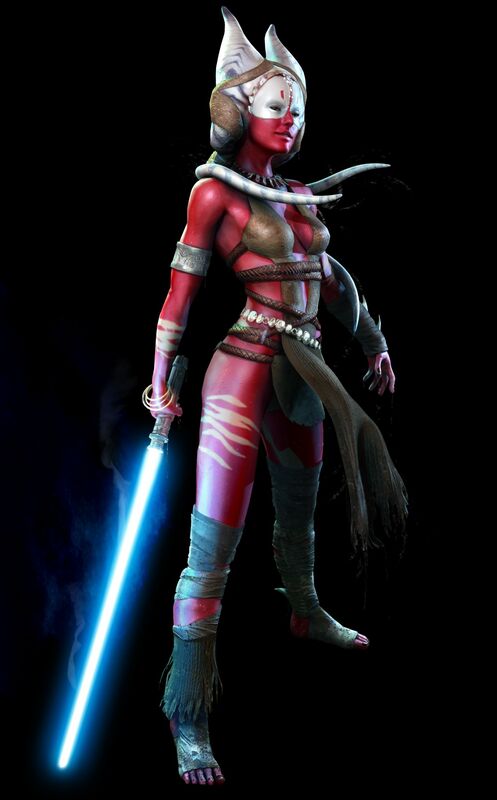 Can be approveable this Shaak Ti costume? The force unleashed version, in Felucia. Would it be necessary to write a CRL to be able to register it? If so, would it be the first? No a CRL isn't necessary, though helpful. If submitting you would want to include a multitude of reference for it. Maybe. I had thought someone had done it before, but cannot find it among the approved costumes. I've seen people who have made this outfit in the forum and that's why I was surprised not to find the suit in approved suits. Approximately how much would be "multitude of reference"? I would include several views of Game art, in game models and any statues or other versions that have been done, showing all sides. Yes, multiple sources and showing all sides of the costume if possible.